Scientific evidences of meditation’s powers continue to get popular, as more and more people are seeking ways to take a breather and improve their memory and sense of self. 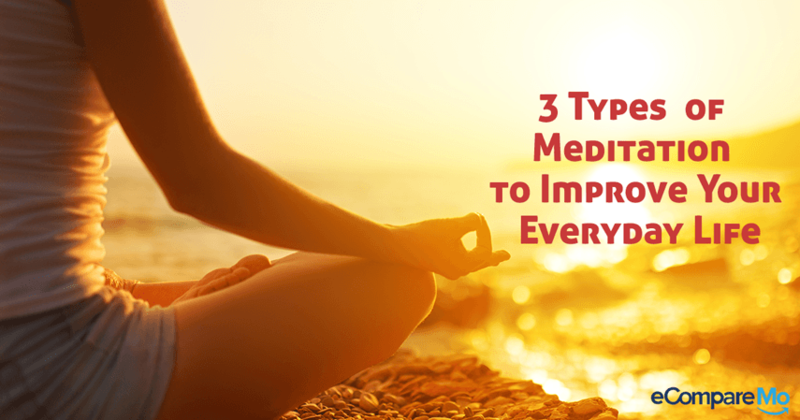 Much like exercise, meditation boosts not only minds, but overall physical health. Meditation is proven to alleviate chronic pain, anxiety, improve heart health, boost immunity, and enhances your mood. Meditation is best when combined with yoga. However, it’s not mandatory to combine the two, as you can always meditate everytime you need to. Find a quiet time when you wake up, or even when you’re at work to do these simple forms of meditation. This is intended to keep your balance, allowing your body to take a break and release all the stress even just for five minutes. When done at least once a week, you’ll see the changes within yourself as well as how you handle everyday stressors. The routines of everyday work may keep you from truly living life to the fullest, and mindfulness meditation gets you back to ground. This type of meditation lets you experience being present, and “mindful” of the present moment. If you’re new to meditation, this is the best way to start because it teaches you to be unconditionally present, without judgment, taking in everything that is going on around you. A formal approach to mindfulness meditation is sitting on a cushion on the floor or take a few minutes at work to sit with your back straight, and unsupported. For better focus, close your eyes and concentrate on the space between your eyebrows. As you breathe in, mentally say rising and as you breathe out, falling. Be aware of your breathing, and how it flows within and out of your body. If you’re distracted, simply get yourself back to focusing on your breathing and how it flows within your body, leaving you feeling relaxed and peaceful. Once you’re done, notice the difference with how your body and mind feels. Even taking only 5 minutes of your time to take mindful meditation on a really hectic day can make a positive change. There is also another practice of mindfulness that can be applied in your active, daily life. While you’re walking, eating, and talking, pay attention to what is going on in the present moment, taking in everything you see, hear, or taste. Sometimes, routine gets us into “auto-pilot mode”, so always take time to be aware of everything that’s happening by being attentive to your body’s movements, your feet touching the ground, and the sounds you hear around you. Focused attention meditation is using a single object as your anchor during the whole session. This anchor of focus may be your breathing, a mantra, visualization, part of your body, etc. As you advance, you’ll get less distracted and develop the depth and steadiness of your meditation. The best way to do focused attention meditation is to use the chant “OM”. It is considered to be the “primordial sound”. Even before material existence, there was only the natural humming of energy which resembles the sound of OM. The OM mantra is mentioned in the ancient texts related to yoga, and is the most popular chant being used by Yogis. Just like the formal way of practicing mindfulness meditation, find a comfortable spot, and sit up straight. Close your eyes and completely relax your muscles and mind, without judgment in anything that is happening in the present moment. Chant OM repeatedly in your mind while focusing on your breath, or the mental image of an object – a candle for example, to keep your focus. As you go about this more often, you will notice an improved state of calmness and peace, taking you quietly into the realms of your inner positive energies. Metta means loving-kindness, friendliness, and goodwill in Pali language. This type of meditation allows you to cultivate loving-kindness not only within yourself, but for other people as well. This is a popular form of Buddhist meditation because of the fact that can’t feel loving-kindness and any negative emotion at the same time. It increases your ability to develop positive emotions within yourself including self-love, empathy, a greater feeling of competence in your life, and increased motivation or sense of purpose. You may think that it only produces momentary peace and self-love, but as you get used to practicing Metta regularly, you’ll notice an improvement in your general level of happiness and empathy. Which of these types of meditation resonates best for you? Once you get into the habit, the next step is to do more research and better understand meditation and its practices.